What could be better than a delicious meal on a lovely summer evening, surrounded by friends? Saturday night at the SAFE Show, we are throwing a party, and everyone is invited! If you are coming to the SAFE show, or looking for one more reason to attend, this is it! For just $20 per person, you’ll enjoy fresh made wood fired pizza from Veraci Pizza, plus salads and drinks, followed by fresh frozen Sub Zero ice cream for dessert! We’ll also have beer and wine for purchase, donated by 14 Hands Winery and Redhook! Purchase your ticket here! 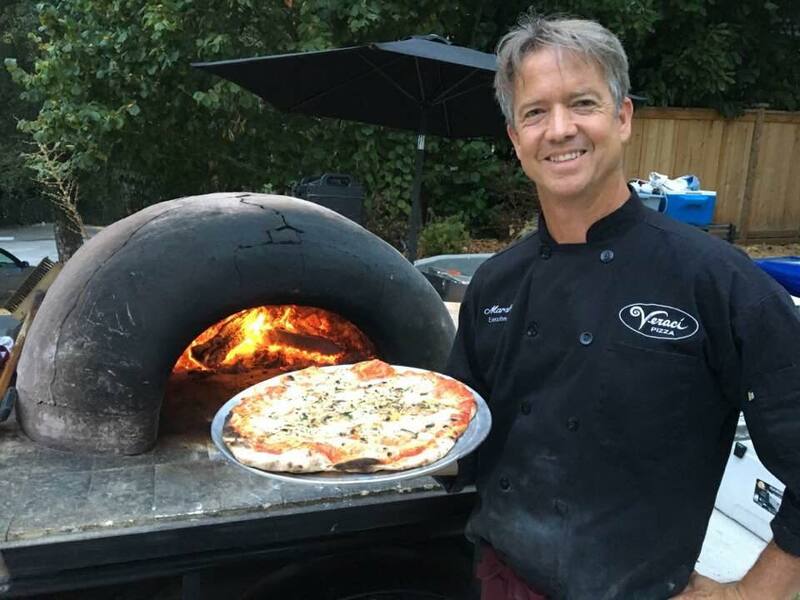 The founders of Veraci Pizza started their business in 2004 by building a wood-fired clay oven on wheels so they could sell pizza at the Ballard Farmer’s Market. Their goal: to make the best pizza in the world! It started as a side project and grew into a thriving business restaurants in Seattle, Portland, Bend, Spokane, and Coeur d’Alene, plus a fleet of mobile wood-burning pizza ovens made specially for catering. 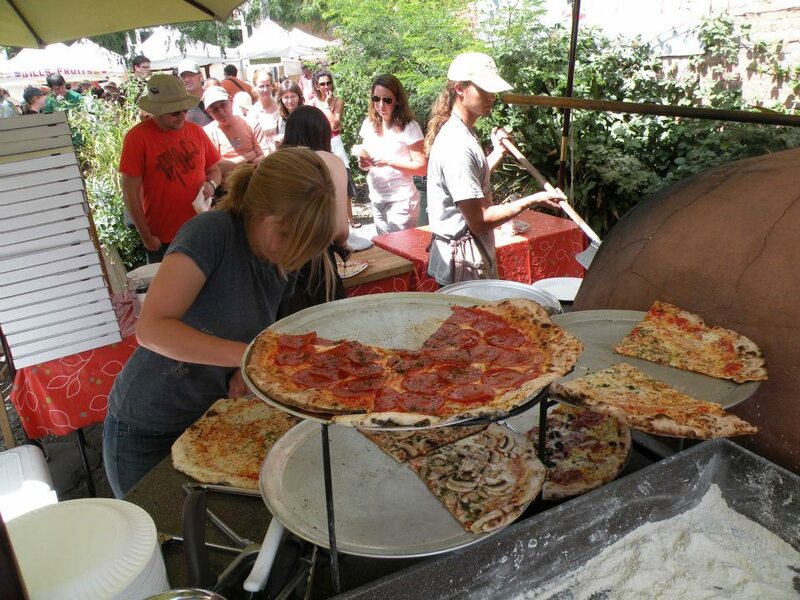 Veraci Pizza features a delicious ultra-thin artisan crust made from a secret recipe. Each batch of dough is hand prepared in a mixing bowl, never by machine. With a 3-minute or less bake time, you’re ready to enjoy fresh at its best in no time! Any of these pizzas can be made gluten free or dairy free, so there’s something for everyone to enjoy! And an array of ice cold Coke products to choose from as well. 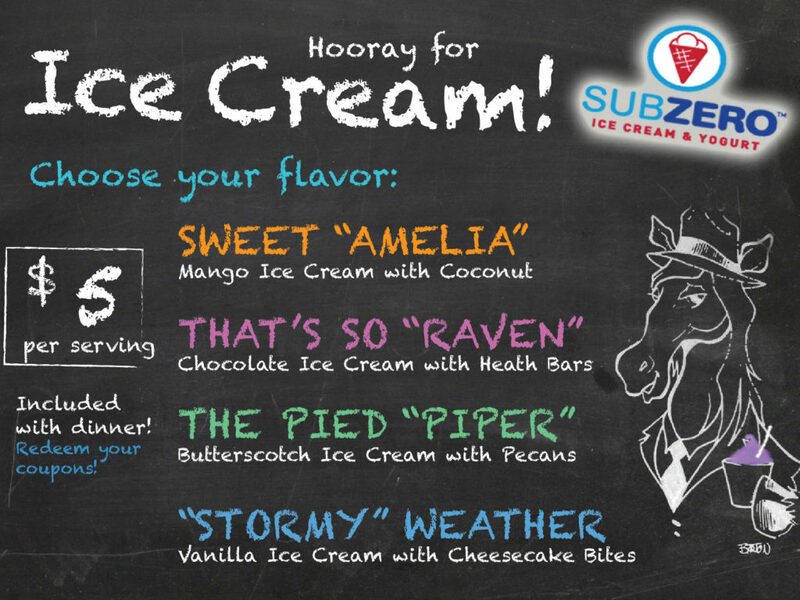 Sub Zero Fresh Frozen Ice Cream, with flavors inspired by SAFE Horses! Don’t delay, buy your dinner tickets today!! Click here to purchase tickets!